Discussion in 'Announcements, How do I, Feedback' started by Sully, Nov 1, 2018. I wanted to let you know we have a number of maintenance items that will be happening over the next two weeks. Some are server and network components, power and other are software patching. These are being handled/driven by the hosting company and they cannot provide an exact time as its datacenter wide. This is the first window for some network upgrades the datacenter is doing. There should not be an outage. Instead, you may see brief periods where the site loads slower or certain aspects don't load. Its expected for this to be pretty brief and you may not see anything. This will be a short outage (no longer than 30 minutes). It's a core power upgrade. Based on timing I imagine most members will not notice, but wanted you to know the bills are paid, its just maintenance. Second part of the network upgrade. Similar to Window 1, you may see the site run a little slow during these periods. Windows starts November 10th - 12th each night from 10PM to 10AM EST. This is core patching. This will require the server to be rebooted. I don't like the long window, specifically not knowing the day or time. However this is being handled by the hosting company. I'm trying to lock it down to a smaller window. If I'm able to lock this down to tighter windows, I will let you know. Either way, rest assured the bills are paid, so if you see any issues, they will be brief during those windows. Lol.. let’s call it progress. Some components of the network change is in prep for uploading video to the site.. granted that’s not what’s causing the latency. Gee whiz Sully with all of these maintenance windows why not call a glass company to fix them? Nice play on words. . Tonight if your a real night owl or located outside US there will be a short outage as the server is rebooted. This is always the risky part, Ie bringing it back up correctly. It’s all handled by our hosting company that specializes in forums, so I don’t foresee any issues. So when is the lifeboat drill? Right after coffee, like always. Im going to check out the band first. Chock Full o Nuts, like always! 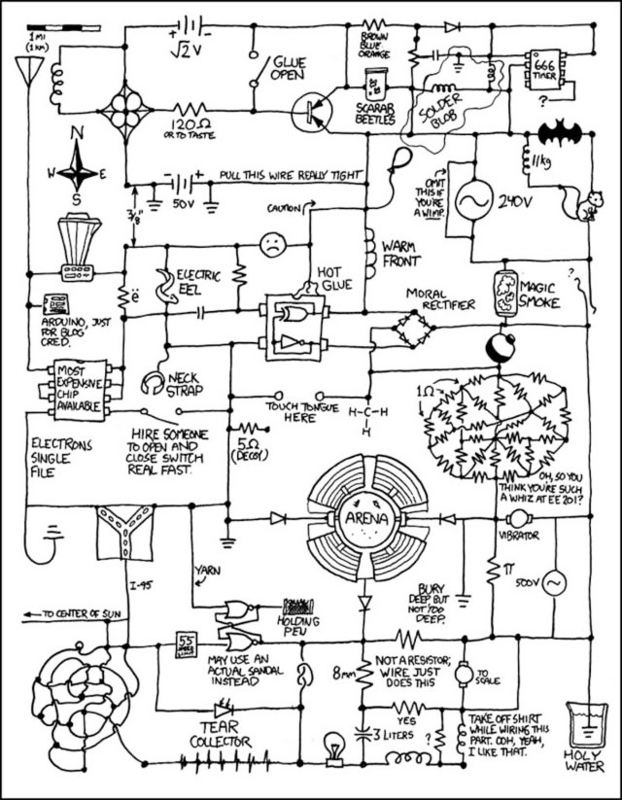 Sully I was feeling bad for not contributing to M/A so I dug up a wiring diagram to help you out. This will also help with the wiring on old Mini's & Jag's. Nice... I almost had nightmares about emag... looking at that. (I.e. my electro magnatism class at GT). You had 3 versions... “E”mag, “D”mag.. “F”mag... your out. Actually all the same class, that was slang coordinated to the number of times you’ve taken it until you quite or were kicked out. I got through it but still think it’s magic. Just don’t really understand electricity really. I can do applied.. to a certain extent. Outside of that don’t get it. Have a friend who has a PHD in EE.. he has tried to explain it. I’m just toooo dumb.